here’s the cake i made that was beyond awesome. i made a 9×13 then cut it in half. 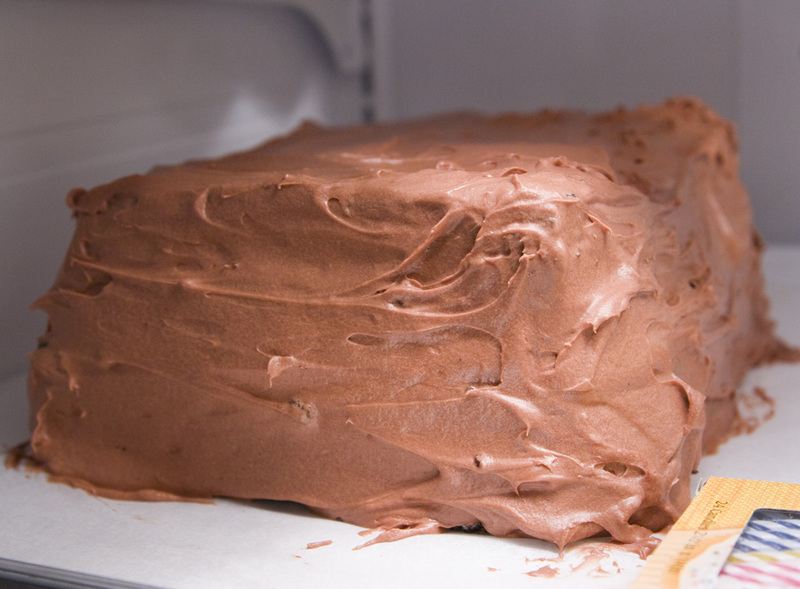 the frosting was outrageous – there was so much of it. i think i might make this again for MY bday! except i might actually buy a second round or square cake pan to match one of my other ones. if only we lived closer! i have so many cake pans i could lend you! bah.